Skate park aside this is common council practice. When they put a width restriction in a local road the consultation asked if it should go here, there or over there? No option for ‘shove the thing right back up your………….’ was given. Sad as I’m sure as from talking to neighbours it would have been very popular! Here is a link that Amy sent me after the meeting to the consultation that took place in late 2013 on the proposed byelaws re parks and open spaces. https://consultations.royalgreenwich.gov.uk/KMS/dmart.aspx. If that link doesn’t take you to the direct page, then please follow the link to view the consultation database and search for ‘byelaws’ in the ‘Completed Consultations’. Here is the link to the cabinet report on the skate park (item 12 on the agenda) http://committees.greenwich.gov.uk/ieListDocuments.aspx?CId=119&MId=3422&Ver=4. You will probably have to cut and paste them. I don’t think anyone at the meeting felt the decision to site a skate park in Charlton Park was particularly democratic Joy, the difference in opinion was over – that decision having been made – whether a skate park was a good thing or not. As I’ve said I like the idea, but I’d rather it was happening with the local communities blessing. The Cabinet decided on this occasion to go ahead without deferring to local opinion, and it’s up to them to explain that decision I guess. If they choose to. And if you look at the Skate Park Stakeholder Forum’s Terms of Reference it says: ‘This group is not to be used as a means of opposing the project.’ I rest my case – but not my efforts to inject some democracy into the decision making process.I do not want to demonise the skateboarding community in the process – having seen the Victoria Park skatepark and talked to the skateboarders there I know it can work – but from what they said and from what I saw there it is certainly not a safe place for young children to ride their scooters – which is what the skateboarders themselves said – and they certainly would not be safe to go there without supervision – not because the bikers are uncaring but because it can be a very dangerous sport. Thanks that’s a really useful update, having recently seen the Friends of Charlton Park petition I was wondering where the project had progressed to. I don’t like the way the decision has been forced through but personally I remain undecided about whether the skate park is a good thing. It will undoubtedly change the character of that corner of the park but that does not have to be a bad thing. What I worry about most is that, even with what seems like a reasonable budget to spend, what will be delivered is a badly though out then badly maintained skate park. Although the park itself is well maintained this is not the case for some of the equipment and infrastructure within it. The gym and play park both have broken equipment that has not been repaired only taped over, this has been the case for months not weeks, and the sun canopy over the gym disappeared never to be replaced. Even the refurbishment of the loos, while eventually delivering a good facility seemed to be an expensive palaver and still has not addressed the issue of the actual fabric of the building. The reaction of the ward councillors is disappointing but not surprising; they do seem to have a habit of going very quiet once the election is over. In fact, at the last election Cllr Parker promised an exciting new arts project in Charlton Park. I’ve tried on a number of occasions to follow up with him about this but been roundly ignored – perhaps what he meant was performance skate art! Quick update from me. People who think the skate park is a good thing for Charlton Park can now show their support here: https://www.change.org/p/greenwich-council-show-your-support-for-the-proposed-skate-park-in-charlton-park. The petition makes clear that it is not an endorsement of the consultation process, it’s purely to show support for something I personally think will be great for kids and adults alike. Maryon Parks has set up a campaign to keep its own green spaces skatepark-free – it’s called ‘support the proposed skatepark in Charlton Park’. That says something doesn’t it? In your original report of the Woolwich Town Hall meeting, you say that: ‘figures quoted at the meeting suggest around 80% of users of skate parks are small kids on scooters’ but I didn’t hear any figures that supported that view at all. If small children on scooters use skateparks they must be very closely supervised or they risk broken necks at the very least! Joy – Just to confirm to you that the petition in favour of the parks is nothing to do with the official Friends of Maryon and Maryon Wilson Parks. I strongly support the idea of a skatepark in Charlton Park as a local parent. I think it will be great for all local kids. By the way, the petition in support of the skatepark in Charlton Park has now been signed by 450 people. Massive thanks to all who signed. Most of them are locals to SE7 or SELondon. There is a big demand in Charlton for the facility. 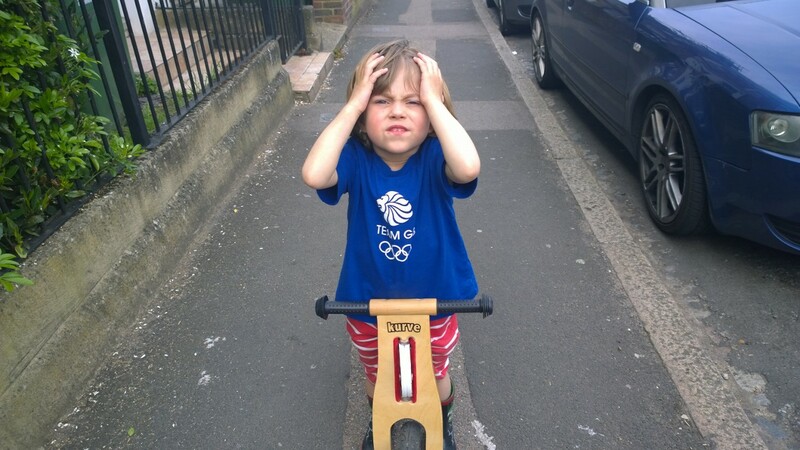 On your other point – yes, small kids on scooters (I have two) usually do need close supervision. Looks like another lovely sunny day. Andy – just to confirm to you that your petition is in the name of – and I quote – ‘Maryon Parks Hub, Maryon Wilson’ so why do you need to cite them if your petition is disinterested? Why not set up a petition calling for a skatepark in Maryon Wilson Park? I’d sign it, for one! Or one in Hornfair park, where they already have facilities. Charlton Park is the wrong site for this. Having read your comments I am not sure I understand why you would be happy to have a skate park in Maryon Wilson Park or Hornfair Park when you are so against one in Charlton Park. As a parent of a skate boarder I believe the addition of a Skatepark in Charlton Park will be great for the local community, young and old alike. Maybe you should visit Greenwich Park on any weekend and watch the many skateboarders who are welcomed there, you will see groups of adults watching people skate with interest and enjoyment. You seem concerned about injury to the skaters yet you have said you would be happy for a skate park in other parks, would the risk of injury not concern you in the parks you have mentioned. If Greenwich Park welcomes skateboarders why can the same not happen in Charlton Park. 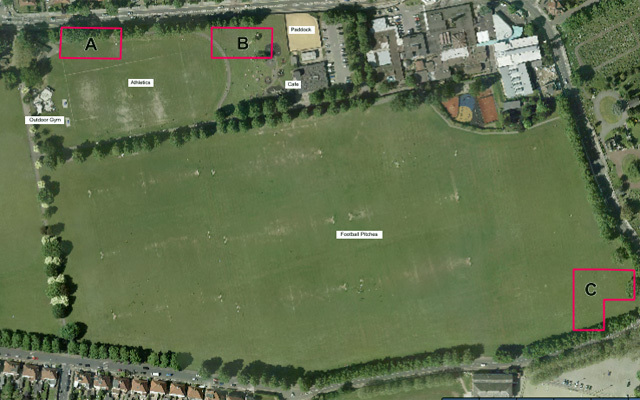 The petition in support of a skatepark in Charlton Park is in the names of co-creators Andrew Donkin and Paul Chapman. This is very very clear on the petition page. A link to it was tweeted by “Maryon Parks Hub” among many other twitter accounts. Tweeting a link to something doesn’t mean that it’s “in the name of” that account. Only that the account is tweeting a link because it is something that its followers might be interested in. “Maryon Parks Hub” is described as “News and views from Lovely MaryonWilson & Maryon Park in Charlton SE7, detailing events in and around the parks.” It’s followed by 524 people interested in local parks and tweets many news items and details of events in all our local parks. The “Maryon Parks Hub” twitter account is NOT an official account for any group. It’s just a news feed with lots of photos and news. I attended that meeting of, I think, 6 attendees, with an equal split between the naysayers, and the pro-camp. I think there is a valid concern about the consultation process, and there not being an option provided in another park, but that said, I do think Charlton Park is the only option. It is the only park where there is significant footfall and amenities in a short distance from the site, which provides a safe atmosphere for young people to partake in these activities. Firstly, I don’t see how it will change that area of the park significantly, it already has a muga, climbing wall and table tennis tables. Precisely the sort of thing you see alongside skateparks all over London. There is talk about Hornfair park, but I know the BMX track is a no go area for most of the local kids. Certain groups of local kids run that space because there aren’t adults around. There just isn’t enough of a mix of users who frequent it for the average kids to feel safe. I have seen this effect since I was young, where councils site facilities out of the way. A compromise to local residents, but kids are scared to go to these places because they are intimidated. These facilities fail. I know, I lived through it in the 90s and luckily we are now more progressive. You can see the evidence all over London, where modern skateparks are sited inclusively. Sidelining our youth results in anti-social behaviour, and there is clear evidence that facilities such as these reduce anti-social behaviour (google dorset police website skatepark for stats). For me, as a parent, it’s a no-brainer; you see how young kids make a mischief of themselves if they have nothing to do; you give them something to do, and they are happy. It makes me sad, because it’s these same naysayers who bemoan the anti-social behaviour. Yet it is facilities such as these that give the youth an alternative to just hanging around, smoking, and causing a nuisance. There is a distinct danger that if we make compromises on this project, it will result in a sub-standard end product. This is a lose-lose situation. We need a great skatepark, that will produce a great self-regulating user base.